Best Western Plus Hill Country Suites est idéalement situé dans le centre de San Antonio. Venez découvrir et profiter de notre hôtel à côté des principaux sites touristiques. Réservation au meilleur prix et offres exclusives toute l'année. Bienvenue au Best Western Plus Hill Country Suites, où vous bénéficierez d'un service clients exceptionnel et de chambres confortables et abordables. Cet hôtel se trouve au cœur de l'un des meilleurs quartiers résidentiels et d'affaires de San Antonio, et à quelques minutes à pied de nombreuses attractions, restaurants et commerces locaux. 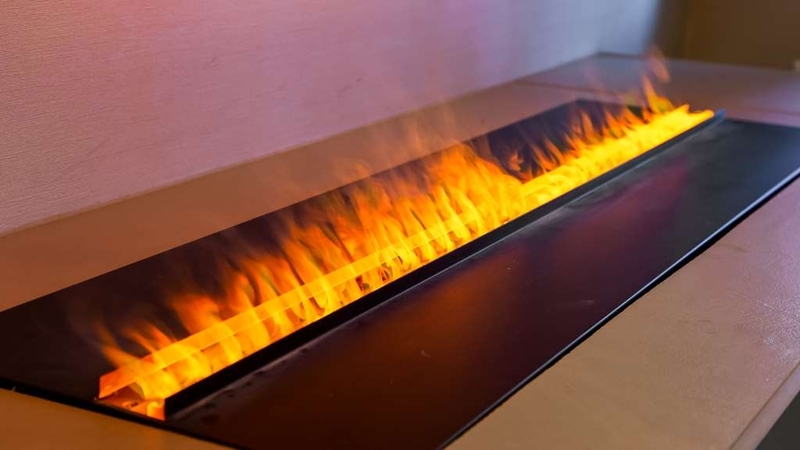 Cet hôtel Best Western de San Antonio propose des chambres agréablement aménagées avec télévision Full HD à écran LED 117 cm, four à micro-ondes, réfrigérateur et accès gratuit à Internet haut débit. Commencez votre journée par un petit déjeuner complet gratuit, un plongeon rafraîchissant dans la piscine extérieure et le bain bouillonnant de l'hôtel, ou par une séance de mise en forme dans l'aire d'entraînement entièrement équipée. Après une longue journée, les clients pourront profiter de la réception avec hors-d'œuvre, bière et vin organisée tous les soirs du lundi au jeudi par la direction. Les clients venus à San Antonio pour affaires apprécient également le vaste éventail de services d'affaires proposé par l'hôtel, notamment un centre d'affaires complet et un espace de réunion pouvant accueillir jusqu'à 40 personnes. 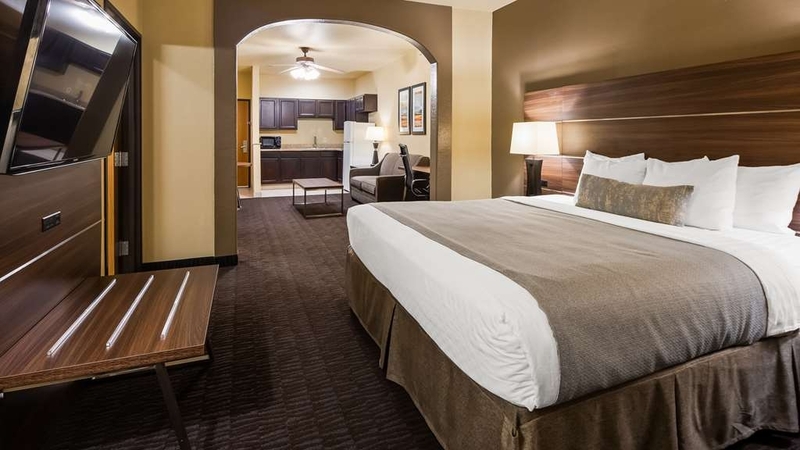 Le Best Western Plus Hill Country Suites est le lieu de séjour idéal pour visiter San Antonio. Passez un après-midi reposant à la découverte de tout ce que le Riverwalk a à offrir, visitez les musées de la région comme le Musée d'art McNay, le musée Witte et le Musée Guinness World Record, assistez à une manifestation sportive au Blossom Athletic Center ou passez quelques heures de détente en famille au zoo de San Antonio, à Six Flags® Fiesta Texas ou au SeaWorld®. Sans oublier l'incontournable visite du site historique d'Alamo. Le Best Western Plus Hill Country Suites accueilleégalement de nombreux clients rendant visite à la famille et à des amis séjournant à l'hôpital Spine et à l'hôpital méthodiste Stone Oak, non loin de l'hôtel. Vous venez à San Antonio pour affaires ? Près de Pearson, du Centre de congrès Henry B. Le centre de congrès Gonzalez et Valero Corp permettent de faire facilement des affaires. 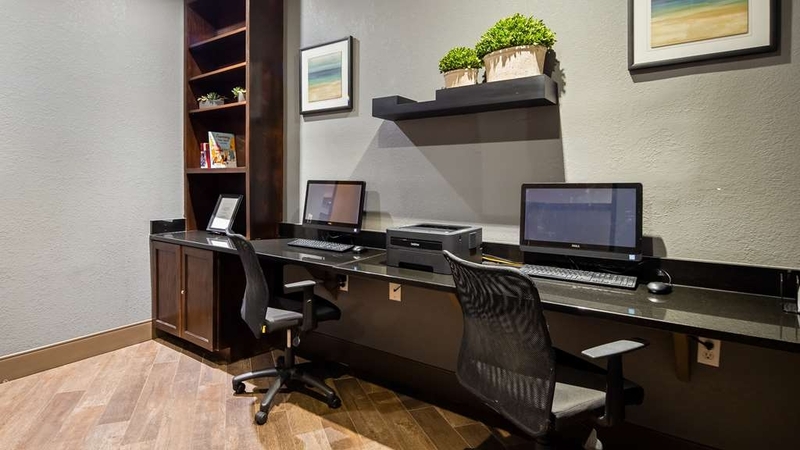 Réservez votre chambre dès aujourd'hui et faites des économies au Best Western Plus Hill Country Suites de San Antonio, au Texas ! "The very best of Best Western"
A highly recommended hotel with a very welcoming reception staff . The room was superb : we had a deluxe queen suite with 2 very comfortable queen beds which was more like a flat with everything we needed. Very spacious and clean. All this for $200 for 2 nights. Easily sleep 4 people. Location was quiet even though a new road was being built nearby. Breakfast was ok; coffee available 24 hours was pretty good. Not too far for the Belvedere Rodeo show and to visit San Antonio. "Friendly, Clean, Excellent Breakfast, Good Coffee"
Large room, very clean. Unfortunately the refrigerator made intermittent noise and I don't believe the message was ever received from front desk to engineering to address the issue the next day. Disappointing as I would like to give a five rating, but am unable to due to oversight. Superior linens and mattress, easy to use TV and Wifi. We stayed in this hotel Feb. 19-23, 2019 as my husband was in San Antonio for a conference. It's located righted beside the highway with a Walmart, Costco and several restaurants nearby. Reception was accommodating with free sweet ice tea or salted popcorn and all day coffee and tea avalable. Our room was spacious with a queen bed,sofa, small ref, microwave, iron and ironing board in the room. However, amenities like tissue, shower cap,bath mat and hair dryer were missing. The bed and pillows were comfortable and towels sufficient. Overall though, the room was a bit dusty and could stand a good cleaning esp the carpet. Though there was daily cleaning service, I had To remind the cleaners to clean my room. In fact, they missed out on it for a day. There was daily complimentary breakfast with fresh fruits, cereal, scrambled eggs, sausage, bread, yogurt, orange juice and make your own pancakes. The washer and dryer are found on on the second floor and priced at $2.00/load. Overall an average place but with attention to details, can become an excellent hotel. I'm not picky and not unfamiliar with inexpensive hotels but this hotel was disgusting. There was trash on the floor of the lobby, overflowing trash from a trash can onto the floor in the hall that stayed there for nearly 24hours. When we finally got ready to go to sleep, we found a condom wrapper in between our sheets of the made bed..... apparently they don't change linen in between guests. We demanded that our linen be changed or we were going to leave. Beyond disgusting. Dear Valued Guest, Greetings from the Best Western Plus Hill Country Suites. We are very much concerned with your feedback. Our apologies for the bad experience. Our endeavor is to offer a nice stay to all our guests but failed this time. Actions shall be taken to improve everything on priority and you can have a good stay next time. Hope you will reconsider. Sincerely, Hotel Manager. stayed here for 2 nights while visiting San Antonio and six flags feista.. it's close to everything.. 5 miles from six flags and 10 or so sea world. Very clean and the staff is great... free breakfast is wonderful, coffee and tea all the time and popcorn a night in lobby was a hit with the kids... also have a outdoor pool and hot tub, it was way to cold and stormy while we were there...if you have kids and want hot cocoa bring a few packs because they dont offer it anymore. We went to walmart 2 min away and got a box lol.. the rooms are very clean and huge!! We stayed in a queen suite it had 2 huge TVs and that was awesome with kids..wont be sorry if you choose this property great! Dear Guest, Greetings from the Best Western Plus Hill Country Suites. We are really glad to hear that you have enjoyed your time with us so much. As we emphasize​ on personal service and individual guest approach, we are happy to see you highlighting your good stay as well as our team as well. We will continue to offer the best service to our guests always. Thank you and hope to be able to welcome you back soon! Warm Regards, Hotel Manager. For 2 days they not clean the room when I complained the y send the cleaning lady afternoon late in the third day. Crowed hotel in all night. Good breakfast . The swimming pool door open all time not safe. Wall mart is in walking distance from the hotel. Near from airport. "3rd time to stay here"
third time I've stayed at this location on a work trip to San Antonio. Only problem I've really had has been construction on the access roads which can make the hotel difficult to get to at times. Not something the hotel has any control over. Breakfast is the typical hotel breakfast and good. First the blond at the front desk was extremely helpful and very nice. She was apologetic and try to fix the stay. I'm sorry I don't remember her name. Other than that rooms were not clean when we checked in or on a daily basis. always had to ask for towels. And I think staff or guest were dealing drugs. my husband stays with Best Western for work so we thought we would stay for a family vacation. Hello Guest, Greetings from the Best Western Plus Hill Country Suites. We have noticed your feedback and apologize for the inconvenience. Your reviews are important to us. We shall check, investigate and take corrective steps to resolve the issue. Customer satisfaction is important to us. Please do visit us again. Sincerely, Hotel Manager. Firstly I would like to thank you for taking the time to review your recent stay at the Best Western Plus Hill Country Suites. It is only through feedback such as yours that we are able to maintain and indeed, where necessary, improve upon the service that we provide to our valued guests. I was very disappointed to read of your experience during your stay with us. Whilst an apology will regrettably not alter the outcome of your experience on this occasion, I do extend it with all sincerity. I certainly empathize regarding the points you mention in your review especially the poor service you received as a result. This level of service is certainly not acceptable and will be addressed with the concerned parties. Again, please accept my apology, and I hope that this hasn't put you off a return stay with us again. Best Western Hill Country in San Antonio has amazing service staff that take the customer's satisfaction very seriously. They go out of their way to try and help the customer with what they need and always have a smile on their face. The rooms are kept very clean and the breakfast is fresh and hot. 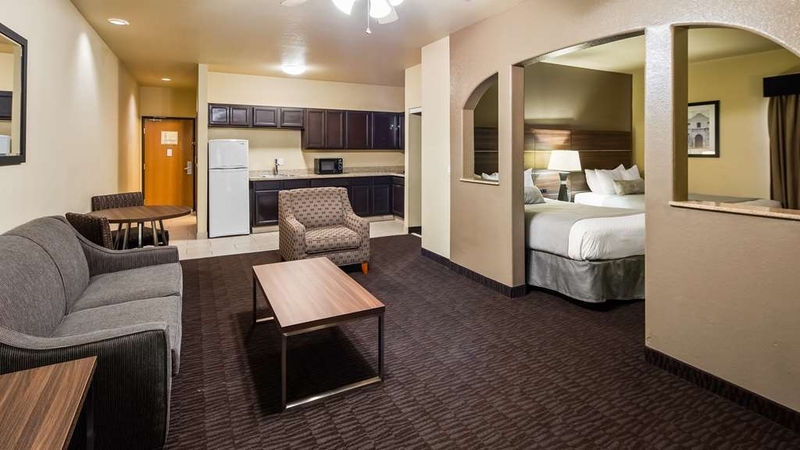 Dear Guest, Thanks for choosing to stay at the Best Western Plus Hill Country Suites. We are happy that you have thoroughly enjoyed your holiday with us. Thank you for your compliments on the staff hospitality. Looking forward to seeing you again. Sincerely, Hotel Manager. The only reason I gave an average for location is because the construction and traffic is horrible. Average for sleep quality is strictly due to preference. Other than that I had an extremely fantastic experience at this hotel. Thank you for taking the time to review our hotel. I sincerely apologize for the inconvenience you you experienced with traffic. We hope you will allow us the opportunity to better assist you in the future. This hotel was really hard to get to in the dark because of its location surrounded by road construction. The room had a very moldy smell, certainly due to the bed being directly placed right up next to the wall AC unit. The bedding by the unit stayed damp. The room darkening curtains were hard to keep shut from being blown around by the AC unit. Our room was on the highway side and was noisy. The closet mirror door was broken and is a danger to small children. Otherwise, the room accommodated us very well. Having two TVs was nice and having the extra room with a sofa was good. Breakfast had a good variety of foods though sometimes we had to wait for foods that had run out. Dear Esteemed Guest, Thanks for your comments. I regret that several issues combined to make your stay less than desirable. We take real pride in offering the best possible guest experience, and I understand that we let you down. You can be sure we'll do better for you next time. Nothing means more to us than providing a pleasant guest experience. Sincerely, Hotel Manager. "They truly are the BEST!" This hotel and its staff are outstanding. My family and I have never been so well treated. Erica at the front desk was very helpful and pleasant. The hotel was very clean, breakfast was delicious and our room was very spacious and clean. I definitely recommend this hotel. We stayed over the weekend. Parking was tight due to several Trucks taking up more then one stall with trailers. However the girls at the front desk were very helpful in directing me where to park even under so much pressure from other impatient guest. Well done! management you should be very proud of your staff. Thank you For the outstanding review. Receiving feedback such as yours means the world to us.We hope to see you and your family again soon. "A great place for a family vacation!" My family and I visited San Antonio over a weekend and used this as our hotel for the duration of the trip. The room had plenty of space for our two children to play, watch a streaming episode of Kipper, and sleep without being underfoot. The breakfast each morning was a hit, the pool was well-maintained and sufficiently large, and the location helped us get to the points of interest quickly and easily. The interior was well-maintained and far classier than what we expected, and the staff were helpful and accommodating. We had a great time in the city and this hotel stay greatly helped with that experience. Hello Guest, At the outset, let me thank you for staying at the Best Western Plus Hill Country Suites and taking valuable time to give us a feedback. Your comments are much encouraging, but of course guide us for improvement. We shall definitely try to make your next stay still awesome. Appreciate your patronage. Sincerely, Hotel Manager. The hotel's staff was welcoming and polite. The hotel's common areas were better than most hotels in the same price category. The hotel was close to Hill Country destination North of San Antonio. We would gladly return. Thank you for choosing to stay with us and I am glad to hear that you enjoyed your stay. We look forward to welcoming you back to the hotel in the near future. My husband and I will definitely stay at this hotel again. Erica, the manager, was extremely nice and took care of our problem while we were able to enjoy the sights of San Antonio without having to worry about our room or our luggage. Thank you Erica! Thank you for the outstanding review. I am thrilled to hear that our front office manager provided you with friendly and caring service. I will be sure to share you wonderful review with Erica and the rest of our staff. We hope to see you again soon. "The Best Of The North Side"
Best Western has always been good to me. And it was especially good to me at this north San Antonio spot (where Highway 281 is a construction zone at the moment, but will be better soon). This BW has always had good accommodations, and the receptionists at the desk decided to upgrade my room even before I arrived, just for me to get more points. And that's what I opted for. The room I got had the usual trappings for my convenience, but this room also had a jacuzzi. I took advantage of it during my stay and LOVED it! Good walking space for the dolly, and a good night's sleep. This writer will definitely return to this BW. Please, BW, stay at this location. It's not far from some great eating places and has easy access to 281 and 1604. Downtown is just 15 minutes away. And the recent renovations have made this hotel hideaway even better! Wow! What an exceptional review, we truly appreciate your business and your trust in us. I am very happy to hear that our staff and service met your needs and expectations. We look forward to welcoming you back to our beautiful hotel and our wonderful city in the near future. Thank you for being a valued rewards member. It is our pleasure to serve you. "Good for a night, wouldn't stay longer"
The front desk clerk didn't say hello, wasn't friendly, and barely looked up while finding my reservation. She had her ear buds in the whole time. The room was okay, but a light bulb was out, the curtain was falling off the rod, and half the TV channels didn't work. The room faced the freeway, so there was a lot of noise. Lots of construction in the area, which made the entrance difficult to find. Firstly I would like to thank you for taking the time to review your recent stay at the Best Western Plus Hill Country Suites. It is only through feedback such as yours that we are able to maintain and indeed, where necessary, improve upon the service that we provide to our valued guests. I was very disappointed to read of your experience during your stay with us. Whilst an apology will regrettably not alter the outcome of your experience on this occasion, I do extend it with all sincerity. I certainly empathize regarding the points you mention in your review especially the poor service you received as a result. This level of service is certainly not acceptable and will be addressed with the concerned parties. We loved this Best Western room. No big complaints. If we needed something we received it right away. Breakfast had a great selection for both days we needed it. Great location minus the road construction on the freeway. Will definitely be staying here again in March and April. Being a new senior citizen I wanted better than the hotel/motels we were use to staying at with our children. I want comfort, and now that we can afford it, Best Western makes me feel like a royalty that I've worked hard for all these years. We always stay at this hotel. Staff is friendly & hotel is really nice & newly renovated. Everything is really modern & Beautiful. Breakfast had a wide variety & was really good! Close to a lot of stores & restaurants. Definitely will be back. "Don't waste your money or sleep"
Upon arriving to the hotel, the exterior wasn't great compared to other Best Western Plus Hotels we have stayed at, but the lobby was ok. Check in went ok. We went up to our room and instantly it smelled pretty bad and stuffy. First impression there were bugs in the tub, the toilet paper was wet and the tv didn't work. On our way out for the evening we let the hotel staff know and they said we could switch rooms when we returned. My parents staying on the top floor also had issues, but didn't say anything. Upon returning several hours later, we moved rooms. The new room was an “upgraded” suite that had a jacuzzi in the middle of the living area. It was a little odd and not like the ones you get at all inclusive resorts that seem fitting, this one was odd and didn't connect with the bathroom at all. We were exhausted after several hours at a memorial service. Then a loud noise began that appeared to come through the walls and lasted for over an hour. I took video of it and went to the lobby to show the staff. The employee was very unapologetic and offered to switch us to what was our third room. That process took about 40 minutes. We packed up again and headed down the hall. It was almost 1am at this time and we were exhausted and knew we would have to be up in a brew hours for the funeral. The third room was ok, but still the cleanliness was disappointing. The bathroom had beer caps on the floor and also smelled. At checkout the next morning the employee was apologetic but couldn't do much. She offered us $20 off and I didn't think that was enough. She asked me what would make me happy and I said a bigger discount or my money back and she said she couldn't do any more (so why did she ask?). Overall I'm very disappointed. I've stayed at the BWP in Pflugerville and Denton and those two are great! This one really doesn't represent the new branding they've been working towards well at all. I do not recommend this hotel at all and wish we would have stayed anywhere else. I would have rather paid more somewhere else. Stopped by the BW hill country suites the other day for some well deserved leisure time. The hotel is located in a great area with tons of activities and places to eat at your disposal. After dropping our carryon and taking showers we got some supplies at Whole Foods, from there we strolled through La cantera mall and got our grub on at Pashas and Sushishima. Again we all had a great weekend. "The manager saved the day"
I cannot say enough nice things about the employees at this hotel. I travel a fair amount for business, but traveling with family is a different ballgame. The staff was so helpful and understanding. One of my kids got sick in the middle of the night. The manager was so nice about the situation. He had our clothes and personal blankets washed and waiting on us when we got back to our room at the end of the day. That was way above and beyond... Again, all the staff was so nice - including the cleaning ladies, breakfast staff, and desk staff. The hotel and my room were clean and everything worked. The sound in the room was good too. I didn't hear anything outside our room. Hotel was super. The roads around it--terrible! Plan on delays daily. Traffic flow is very slow. Too many turns & twists but if you add extra drive time you should be okay!There are many stores nearby-WAlmart is within walking distance. "Quality stay, great rooms and service!" The hotel is very modern yet cozy. The rooms are spacious and the staff was excellent. They provided a lot of information on the surrounding area. Great location to see San Antonio or Austin and the hill country. 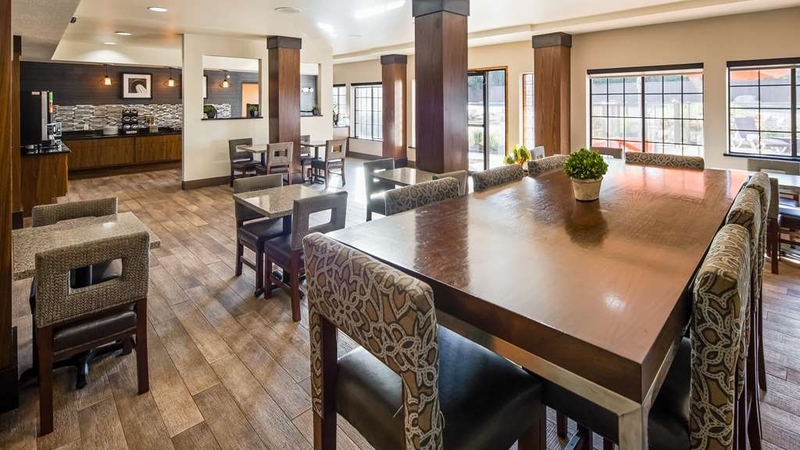 "a remarkable bucket list trip"
My group received the very best care and respect from each and every staff member of the Best Western Plus Hill Country Suites in San Antonio Texas. They helped us with directions, maps, places to dine and they treated us like family. I love Best Western Plus properties. Try to stay in them every chance I get. But this one is to be avoided. Why? Let's address security first. The back door is not locked. No key is needed to get in. The parking lot is easy access from the street and anyone can drive to the back of the property and gain access. This gives them carte blanche to the pool, the spa and the inside of the hotel. The people I saw using the pool and spa were not hotel guests. It was a warm evening and they were just enjoying the amenities. They were not the type of people you would like having access to your unlocked car, or even a locked car. I was uncomfortable with this and never in my life saw an unsecured pool area. Typically, a room key is needed. Secondly, the property was in a bit of a shambles with the wallpaper torn around the base of the steps. A guarantee is offered and I wanted to talk to the manager. I was told he would call me. Never did. However, the gal at the desk who I later spoke to on the phone gave me some Best Western points as compensation. I was very disappointed to read of your experience during your stay with us. Whilst an apology will regrettably not alter the outcome of your experience on this occasion, I do extend it with all sincerity. I apologize that our pool area and back door were not as secured as you'd like. We will use your feed back to implement improvements. However, I can assure you we have had not issues at our property and have an employees present 24 hours a day along with 24 hour surveillance. Also I do apologize for our wallpaper in the stairwell unfortunately we just installed our wallpaper and are waiting on a decretive wall piece and boarder for our stairwells. We are anxiously awaiting for its arrival and look forward to completing our renovation. "Best Western Plus Hill Country Suites"
Hotel was clean, well maintained. Rooms were very nice, and the breakfast was better than most for a free morning breakfast included. Great for people who want a clean quiet room for a reasonable price. The hotel room was very spacious and clean. I stay at a lot of hotels and this one was exceptional. I have seen rooms where there is hair in my restroom or bed and I did not see a single hair. The beds were comfortable and the hotel was well maintained. Good value and breakfast items were great. Family was excited to find breakfast tacos on the menu. Even my picky eaters found something to eat feom your varied breakfast items. We are glad we chose BW. "Very nice hotel with great location"
Very clean, wifi worked, comfy bed, large room. Breakfast has everything, waffles, eggs, sausage, biscuts gravy & more. Only complaint is that they allow guest to smoke cigarettes & cigars in pool & hot tub. But there are no ashtrays! So there are cig butts and ashes all over pool areas, which stepping on with bare feet is not pleasant at all. Hint: ask for room on backside of hotel because of hwy traffic noise. Had a wonderful stay there. The staff was very friendly and helpful. Would recommend this place to my friends. Good breakfast, clean rooms and very quiet. Close to many places. If you need transportation they can set you up. "DO NOT STAY HERE DO NOT CARE ABOUT THEIR GUESTS"
Horrible service fire alarm goes off at 2 a.m. in the morning the person at guest services calls his manager instead of the fire department and manager does not call the fire department either, a guest does, when Erik was asked did you call the fire department, I called my manager. So to me all of the guests staying there were no big deal to the manager as long as they got their money from all of us and on top of that when Best Western Corporate was call they didn't care either. We only stay at Best Western locations but sure makes you want to consider other hotels with the so called caring even corporate gives. The room had black hair in the tub and walls, trash on floors that shows it was not cleaned or vacuumed and the main area halls were dirty and in on spot was a dead roach. They also did not lock the back door where you would have to use your key to get it they left the lock turned where the door would never shut all the way. The good side, they had a decent breakfast. This was a first time in the particular BW hotel close to where we needed to go but DO NOT RECOMMEND THEM AT ALL. Staff was not knowledgeable and manger again did not care about the guests. Dear Guest, Thank you for your review and staying at the Best Western Plus Hill Country Suites. We appreciate your feedback.Please allow me to offer our apologies for the inconveniences that impacted your stay. Your observations has been taken up by a team for verification and necessary actions. 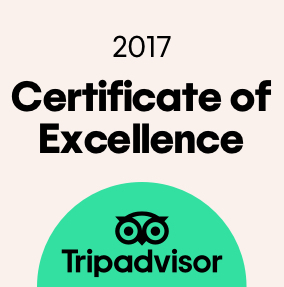 It shall be our endeavor to offer a fantastic experience to all our guests,but regret that this was not case with your stay. It you would like to get away in near future,I shall personally assist you to ensure that you get a fine stay as we don't want your last memory of this hotel to be a negative one. Regards, Hotel Manager. "Great location for businnes or pleasure"
Friendly staff, and excellent location. Nice clean pool and good patio furniture. Good breakfast. I have stayed here many times and highly recommend this BW Plus hotel. The location is great for accessing major highways to get anywhere in the city. Close to Costco and lots of restaurants. "Room keys did not work"
Could not access my room without having staff open the door with their master key. Also a lot of renovating happening and check in took a while because only one person was working the front desk and there were multiple people in line plus people calling the front desk. Checked in around 6:00 pm, room was not ready. We were told they had a full house the previous day. It took 3 attempts at getting us a clean room. First 2 rooms we went to we found beds not made and trash on dresser/table. The 3rd room, the one we stayed in appeared to be ready, except for a sign on the wall that said "wet tile", which we noted pieces of dried cement/grout on the floor of the entryway and leading into the restroom. I had to sweep it up myself. The room needs repair/updating, broken handles on drawers, broken grill cover on AC unit, beds squeak and uncomfortable, big rip/tear in sofa cushions. And whole building has a musty, cigarette smell. Extremely happy with our stay and will be returning! The rooms were great for the price, the location was in a less busy neighborhood. Which we loved! The staff was amazing! Mainly the front desk and the cleaning lady. Seriously.. they made the stay absolutely enjoyable!!! They were the kindest souls and went above and beyond to make sure we were taken care of. I will be returning! We had no problems on our stay and recommend this hotel. The suite room was clean and spacious and the beds were comfortable. The hotel was very nice and clean. The breakfast was delicious and there was a variety of items. "Overall bad experience with terrible customer service"
We stayed at this hotel for 6 nights while our family member was in critical condition at a nearby hospital. When we first checked in, the room they gave us hadn't been cleaned. We said we would be happy to wait for them to fix the bed/trash etc, but they didn't want to do that and tried to find us another room. After 45 minutes, they put us on a floor that was closed to all other guests because it was under construction (smoke detectors covered, work lights in the hallway, walls being repaired, carpet with paint and materials all around). We can deal with all this, but there was zero concern from the hotel staff, no apology, just overall rude staff. Today, we tried to extend our stay one more night. They were so incredibly unhelpful. I just can't believe the lack of general service at this hotel. 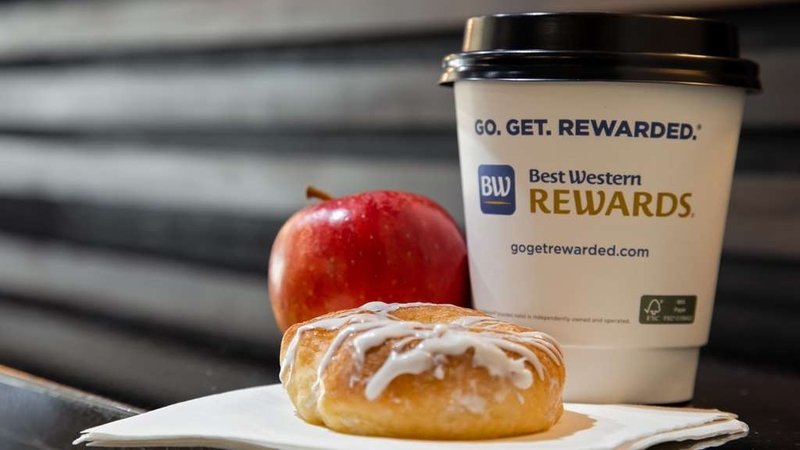 I used to like Best Western but I don't see a reason to ever use them again. For most people, this hotel may be fine, just hope that your stay goes without any issues. 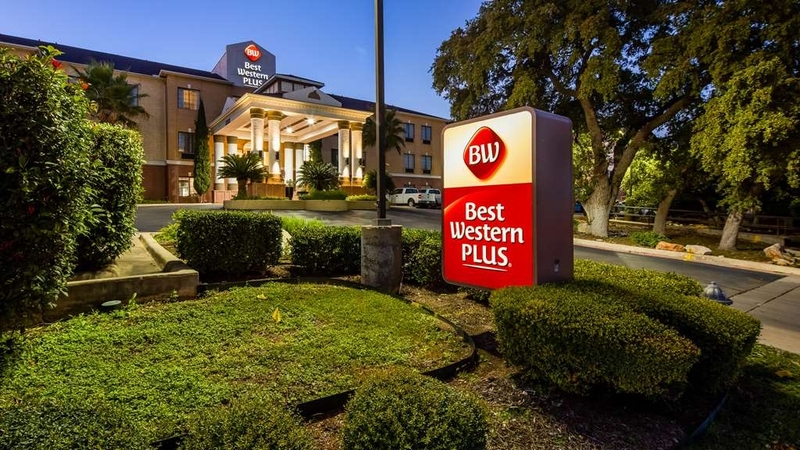 This Best Western Plus hotel is located in the northwest Stone Oak area of San Antonio on Highway 281. It was clean and nicely decorated. Our room was clean and the king-size bed was a little on the hard side, which I love, but my husband likes a softer bed. We had a refrigerator, microwave, HD television, and coffee maker. A free full breakfast is served (scrambled eggs, sausage, cereal, waffles, toast, biscuits and gravy, beverages and coffee). When our t.v. remote didn't work, we advised the front desk on our way out to dinner. When we returned, Diane left a note and new remote on our bed telling us that she had it replaced for us and it worked fine. She was very helpful and even gave us extra pillows (my husband has a bad back). We were very pleased with our stay. Dear Valued Guest, It is really nice to note that that you liked the stay and hospitality at the Best Western Hill Country Suites during your recent visit. Glad to see your positive observations which shall definitely make us run that extra mile. Special thanks for appreciating Diane. It's our privilege to host valued guests like you. We look forward to welcome you again soon!!! Best Regards, Hotel Manager. "Loves my stay. Enjoyed the breakfast during our stay.."
I will return during my next stay in san Antonio. The staff were very helpful. The rooms were very comfortable and very clean. My kids loved the pool and I enjoyed the work out room.. Loved that the had a laundry room. Dear Valued Guest, Thanks for staying at the Best Western Plus Hill Country Suites and expressing your satisfaction through the review. Your review is very much encouraging and motivating for all the hotel staff. We continuously make efforts in upgrading our hospitality and guest comfort. It is a pleasure to serve guests like you and your comments shall motivate us to better our hospitality. Hope to see you again soon!!! Regards, Hotel Manager. This hotel has a super staff, great breakfast, very nice rooms, exceptionally comfortable beds and pillows. Great experience and we will be back! Another note about the breakfast...quality food, great presentation, and awesome selection! Dear Valued Guest, Thank you for choosing the BW Plus Hill Country Suites. It is nice to know that you enjoyed the stay and services. We are looking to improve our overall services still better. Definitely we are improving a lot and we look forward for your next stay so that you can experience it. Regards Hotel Manager. In the middle of everything my family and I did. We had a bit of trouble with our first room and told the front desk our problem and were immediately moved to a nicer room. Good breakfast and coffee. We will likely return to this location for future vacations. Very nice staff. Comfortable sleeping. Very good breakfast choices. Nice enviroment. 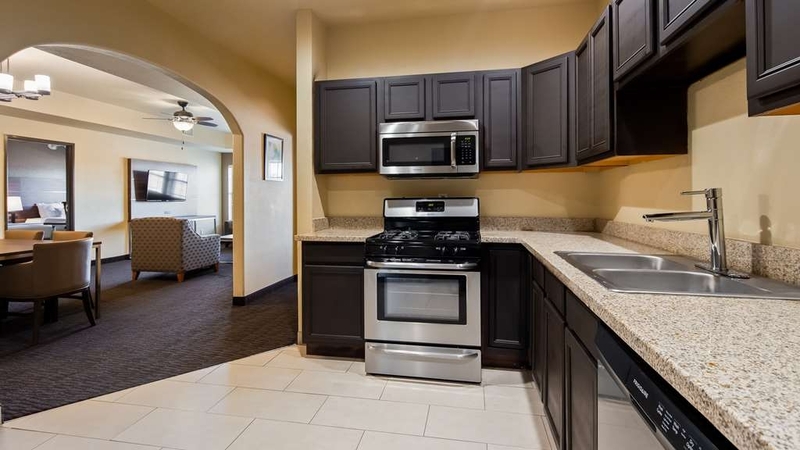 Easy access to highway and not far from San Antonio River Walk, or Sea World. Would recommend to any family coming to stay in the area. Staff was great but property was under renovation so was somewhat difficult. Overall experience was great and location was great for my trip. Would definitely stay here again. Close enough to river walk and to the rivers in New Braunsfels. "Decent and clean and worth the $ paid"
"3 Ice machines, None Working, Staff Did Not Care"
ROOM REVIEW 1. No ice. (3 machines, none functioning) 2. Toilet that flushes only the back half of the bowl (loudly). 3. Poorly laid out bathroom; featuring a towel rack that is as far from the tub/shower as possible, and that we both bumped our heads on when approaching or rising from the toilet. 4. Room phone not working. 5. Three lamps had convenient desk level electric outlets … that worked on only one of them. 6. The front desk staff was not interested on correcting any of these issues when I called (on my cell phone – see #4 above). On the plus side, the bed, couch, and chair were firm and comfortable. The hotel is noisy - all of it is noisy. I could hear the kids running upstairs all night. The manager finally found their parents and got them to stop running and running and running. Breakfast was awful - just as you expect a free breakfast to be. Mcdonalds is INSIDE the Walmart. Awful stay! Please avoid this hotel! It has no concern for guests' needs or making sure they are taken care of. I just arrived and Annie at front desk has a horrible disposition, she wasnt welcoming at all. We left out things in the room with the do not disturb sign and arrived to find my bathroom distroyed and dirty. We callled front desk and apparently they were doing repairs in the room next door and the manager would call us 15 mins later our we heard huge bangs coming from our bathroom with ceramic parta flying all over and water spilling out. This was at 9:30pm try to sleep with banging noise, dirty water everywhere and broken ceramic parts all over! Again we callen front desk and Annie said she was not in charge and couldnt do anything about it!!!!! What kind of customer service is this, we still didnt hear from the manager, hopefully at least they can give us are money back so we can switch to another hotel!!!! Awful experience!! And I forgot to mention the musty ugly smell in the room, hallways and lobby! Arriving late on an advanced reservation, the room was not ready and the hotel did not have sufficient supplies to properly prepare the room, i.e. Sheets, blankets and pillows. So, we made our own bed while housekeeping worked 2 doors down the hall and then they took a break. The next day, housekeeping took all the towels, but did not make up the room and there were no more towels available because they were busy. Best of all, this somehow became my fault since I didn't ask for towels. I did ask, 3 times. Front desk made up for this with sarcasm and slowness. The facility was very nice, but the employees need training in what it is to work in a service industry. "The price must be for location......"
When I have very short stays when traveling alone, I always choose Best Western unless there are none conveniently located. This place was most convenient to where I was going, so I booked a regular king & got Rm 315 since I requested upper floor away from an elevator. The room itself was good, clean, everything worked (including excellent wi-fi), but the mattress is starting to crater on the side nearest the phone. Since I HATE sleeping in uncomfortable craters, I tried to sleep in the middle or on the other side (nearest the window & AC), but kept sliding back down into the crater. Kept waking up every hour all night long, so I did not get a restful night's sleep. Also was surprised there was no fresh fruit at breakfast, only watered-down orange juice, apple juice (which I can't drink for medical reasons), fruit-flavored yogurt or fruit jam for toast or Texas-shaped waffles. There were empty spaces on the counter where fruit would normally be in bowls or baskets. Would've liked to have a banana or other fresh fruit but settled for watery orange juice, scrambled eggs, bacon, bagel + cream cheese & coffee. Did not use the pool or gym, just the room. I was also surprised when they put in an authorization to my credit card overcharging me for the room, then said the overcharge portion would fall off the credit card after they inspected the room after my departure to make sure there was no damage or items missing. Never had this happen in all my Best Western stays & was not warned about this in advance. This is tacky on BW's part & the desk employees claimed this has always been policy for that hotel. Like I said, I've stayed at BW's all over the world & never had this done. Guessing I need to list in my personal profile from now on that I don't want a mattress that's starting to crater on 1 side. You would think that would be SOP for a chain as good as Best Western, but not at this location. 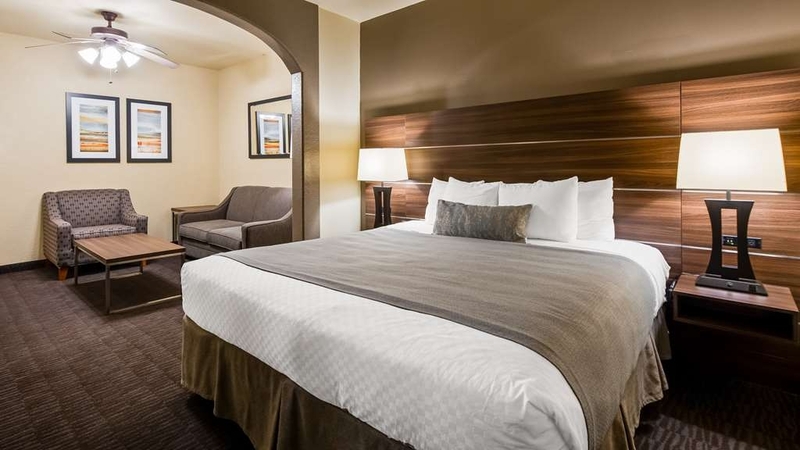 "Very nice and cool hotel"
From San Antonio Texas to Colorado Springs to Mackinaw City, Michigan we have enjoyed our stays at Best Western Plus Hotels as we have vacationed over the last 2 years. Consistent service with a well maintained room and good beds with an excellent breakfast has provided an ideal place to take our kids and grandkids as we travel. Happy Hour for the Family, is a real plus in San Antonio.The beach in Mackinaw City was fantastic for our grand kids and swimming pools are always great. We look for Best Western Plus first, whenever we travel. The facility was great for the price. The desk staff was as good as they come. The were courteous, very helpful, and sincere. The breakfast was was very good. I would stay again and strongly recommend it to others. They are in the process of renovation but that was a minor problem compared to the quality of the help. "i enjoyed my stay at the Best Wsestern"
really enjoyed the night at Best western, wish i could have enjoyed another night. the front desk when asked helped us locate a church and time to attend services. They also provided us on how to arrive to our location and also informed us where the bar ws for water, cokes and coffee. They also asked us when leaving for the evening if we needed anything else that evening. The room and furniture was very clean and the bed was so comfortable and the pillows were so soft. We stayed for one night. Rooms are clean. Beds are comfortable. Location is good. The included breakfast is great! Be sure to make a waffle, they are in the shape of Texas! The kids absolutely loved it! The staff all seemed new. When we got there we were told we would have to pay $30 extra for early check-in. We were there 2 hours early. We're not offered to leave luggage there or anything. We had to wait til exactly 3 before they would let us check in. Never before has that happened at any hotel. Not a very welcome feeling overall. Not rude just bare necessities. On a plus note the breakfast was very good. The lady that was cooking was Very customer service friendly and the food was good. 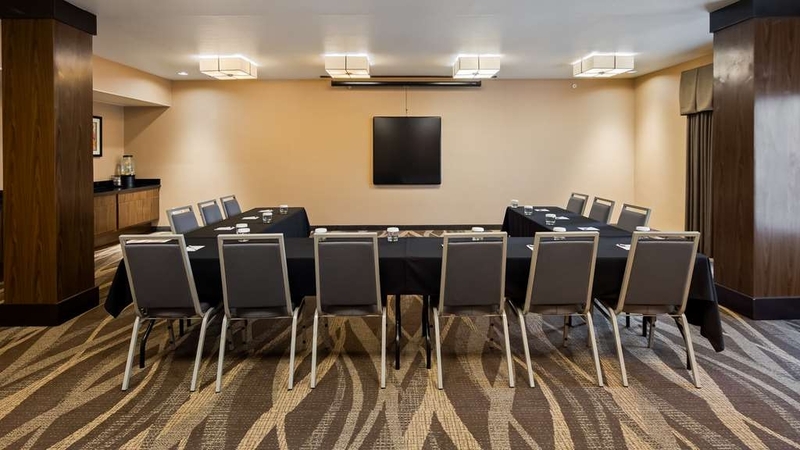 "Good value for our money"
This hotel was located in area of city that was very accessible to good freeways and was close to nearby attractions. The breakfast was very acceptable and had good variety. The room was clean and neat. parking was very good as was the hot tub and pool. The bedroom and bath were both well appointed. The beds were comfortable and had lots of pillows. The only 2 concerns with the this hotel is that siri guided us wrong in finding it. She has us 11 miles past it... and had very tiny non supportive pillows. Other than that, a good bargain for the area on Memorial weekend. "Couldn't wait to get out of here!" One person at the front desk, managing the staff and anything else. Physically unable to leave front desk at times. Very poor! The maids did not speak English, so if we need something, we had to call the front desk and wait until she could get time to locate the maids and tell them what we needed. We were 2 floors above the pool, lots of loud noise. We called the front desk at 8PM and were told the noise rule goes into effect at 10. So, we waited until 10:10 and were told there is nothing more they could do about it. Our room was dirty, the drain stopper was missing and we could see black gunk in it. I know they were remodeling at the time and our room was very old and showed it. We were there for 5 days and asked for another room away from the pool. We got that and the room was as bad as the first one. Breakfast food was terrible. I'm guessing all the hot stuff was cooked in a microwave. When we came back at night, the security door was not working with our room card or another couple trying to get in. We could see the front desk clerk and were banging on the door. Took her about 5 minutes to respond. Then she just kept it propped open, so people could get in. So much for security! I would never consider staying here again if they paid me. I would never recommend to anybody. "Good stay for the money!" "Hotel is dirty and dingy." Booked a suite which turned out to be handicapped equipped. I am not handicap. The hotel was extremely dirty, carpet stains and debris throughout halls and breakfast area. Since the "Plus" Best Western hotels are supposed to be an upgrade, this one surely misses the mark! Would not recommend or book again. "Decent motel for the price"
We were with a large group of friends in town for a wedding. The front desk staff was very accommodating. The 1st floor room was fine.. a little musty, but comfortable, however we had no hot water in the shower but the sink water was hot. Strange. Was excited for the Wine and Beer reception on Thursday... but they were out of both. That was a little disappointing. Breakfast was good! Pool was Cold! We were hanging around the pool on the afternoon of Thursday the 4th, waiting for the wine and beer reception, when a 3rd floor window comes crashing down on the pool deck! Thankfully, no one was under it or close enough to get hurt by the flying glass. As you can imagine, glass was everywhere, even in the pool. Someone from our group immediately informed the front desk clerks of the situation. The clerk follows our friend out to the pool area, assess the situation and leaves. We sat and enjoyed the rest of the afternoon in the sunshine for 3 more hours, not a soul came out to attempt to clean up the mess. We left the premises and returned around 11 p.m. to find people in the hot tub and the glass somewhat swept into a large pile under the window. The next morning we had children who wanted to swim, but after checking the area again, we determined it to not be safe for them. I asked the front desk clerk to check with the neighboring hotel to ask if we could take the kids there. They denied the request. It was at that point that the clerk rounded up a broom, dustpan and cardboard boxes, and she was going to attempt to clean up the glass. Later that morning, another employee was using a shop vac and was attempting to clean it up. Needless to say, by Saturday the glass on the deck was cleaned, but there was still glass in the pool. I realize it was not the fault of your employees that the window fell out, but I sure don't think they took the situation and attempted to make it a safe environment for people. I don't think the pool itself was properly cleaned as I know it would have to be drained to get all of the glass the entered the pool. A huge safety hazard. I am shocked that the pool wasn't immediately closed down. Is there no maintenance personnel on staff at all times? It took until noon the next day for someone to determine that a shop vac was needed to clean up properly. I'll venture to say, that if you send someone to look under the handicapped chair, there is still glass there. Very nice stay. Got in late after full day of travel. Hotel was nice, room was clean, staff was friendly. Breakfast was great. Everything worked and was able to get rested which was very much needed. Thanks BW! Stayed here for 2 nights for a wedding with a large group. Loved they had a laundry which we utilized. Hotel was clean and the from size was great. Situated opposite the highway but our room was at the back so didn't hear the road traffic. Breakfast was included which was a nice variety of food. The staff were helpful and friendly. Was handy that a burger joint and Walmarts was in close walking distance. Was one of the nicer Best Westerns we have stayed at. We were on our way to Corpus and needed a room for the night, booked the BW on Tripadvisor. Hotel entrance and front desk area was obviously in repair, the whole area smelled of curry or some other form of cooking spices, but not pleasant. Rooms and beds were pretty clean, showers were a little gross, mostly just from cleaners hurrying thru and not taking the time to make sure everything was picked up. All in all, not bad, but probably wouldn't stay there again. Dear Guest, Thanks for staying with the Best Western Plus during your recent visit to our area. We appreciate your review and also take your points seriously. We regret the inconvenience caused whatsoever and we are addressing your observations related to the room features and cleanliness and overall hospitality. You shall definitely find the difference during your next visit. We await your next trip to our area and promise a nice stay with us. Sincerely, Hotel Manager. The people that worked the front desk were very nice. The room was okay not great. The electrical out lets on the night stands did not work. The decorative shame at the foot of the bed had multiple big stains on it. The breakfast was very good. I loved the location and friendly staff, breakfast was good, pool/hot tub was clean and had a nice little design. Breakfast was cluttered and not a lot of seating but the food was great. Upon arrival the staff were friendly and answered questions I had about local attractions. I had an amazing stay here thanks to Jessica. She made the stay wonderful from beginning to end. I appreciated her kindness and offering to help from getting the remote control to work and helping me back in the room to grab something I forgot. My girlfriend and I stayed for a weeklong vacation at this hotel. We have always been fans of Best Western properties but this location really exceed our expectations. The staff are all very kind, considerate, and helpful. The hotel looks very appealing both inside and out despite ongoing renovations to improve the property. The renovations that were taking place in the lobby and breakfast area of the hotel were not loud and did not detract from our stay whatsoever. We booked a 1 king bed room with a pullout couch and we were quite pleased with our room. It was well cleaned and well kept. Each day housekeeping seemed to do a thorough job cleaning and making the bed. The room was very quiet despite the hotel seeming like it had lots of people staying at it. The free breakfast was pretty good. It had fresh eggs and bacon or assuage every morning in addition to tortilla shells and refried beans for making a breakfast burrito. There was also a waffle maker breakfast pastries and three cereals to choose from each morning. The lady in charge of the breakfast was extremely nice as well! The only downside to this hotel is getting to it. There is a confusing system of interstates access roads and turn arounds that must be used to get here and the traffic in front of the hotel moves quite fast. However this is no fault of the Best Western and is not all that big of a deal. In conclusion, for $73 a night this hotel is an incredible value and a great stay! Will definitely be staying here again in the future. 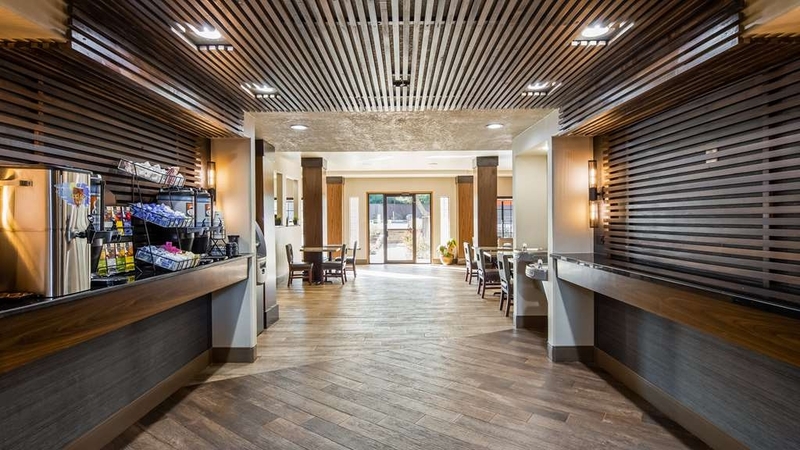 This review was influenced by lobby renovations while we were there. We would not have stayed there had we known. It was hectic with alot of workers going in and out. However, we would stay there again once renovations are complete. Front desk was very friendly and accommodating. Our room was spacious. Eating places within walking distance. A nice pool area outside. Lots of outdoor lighting. We sincerely apologize for any inconvinience that our renovation may have caused you. I hope that this experience does not disturb you from staying with us again. I hope you except my sincere apologize. If I could be of any further assistance please feel free to call me at any time. Erica R.
No one cleaned our room for 3 days. Rooms aren't really "non" smoking. They only had one luggage cart that the wheels were flat on. Poor customer service. They acted like the fact that we had to change our own trash was no big deal. Spent a couple weeks in this hotel waiting for some warranty work on our RV. The hotel was lovely, beautiful pool/hot tub area and superb landscaping. The lobby was comfortable and inviting and every place was very clean. The rooms were large and well appointed. The desk staff was so friendly and accommodating, we were sad to leave. Felt we were saying good bye to dear friends. "I want to give a higher rating, but just can't due to the level of cleaning in the room"
So, I stayed here earlier in the year and had a great experience other than the cleanliness of the room. I decided to give it another shot and again was disappointed. It all appears clean but once again I say it seems like they clean what can easily be reached and no effort is put into doing a thorough job. For example ... the peep hole in the door had a tissue stuffed in it. I pulled it out and realized that it was there because the peep hole was broken. The cleaning staff didn't see this? There was a dirty sock on the floor in the corner behind the chair near the window. I'm assuming it was from the previous guest, but who knows how long it had been there. (I put it in the trash) I always travel with cleaning wipes and because I had my 5 year old grandson with me, I went to wipe down the coffee table so he could build with legos. I was not expecting the wipe to turn black from dirt, but it did. I was in room 308 and I would reccomend that if you stay here you ask for a room that overlooks the back parking lot. The traffic on the front side is very loud. Ok, so other than that ... The staff is awesome. We encountered 3 different people at the front desk and all were very friendly, helpful and pleasant. The breakfast is very good and the people in charge are very busy making sure they don't run out of anything. The layout of the room is great with plenty of space and comes with a microwave & refrigerator. The beds are very comfortable and they give you plenty of comfortable pillows. It's a great location for me when I visit San Antonio so I really wish the rooms were more clean. We were on the 3rd floor the last time too, so maybe the issue is just who ever is in charge of cleaning those rooms. I may give it one more chance the next time I'm in San Antonio and ask to be on the 1st or 2nd floor. The suite is prefect for a couple looking for some fun with a little R&R. We get the suite with the jacuzzi and usually spend a night just soaking in the jacuzzi with a bottle of wine after a day of activities. The room is spacious and the bed is very comfortable with the best pillows I've ever spent on. The breakfast is also very appetizing. We've stayed here a couple of times and have always been pleased with our accommodations. I would definitely recommend this place. The hotel provided prompt, professional, and pleasant service. We had an issue with the high speed internet, which was solved by Kevin almost immediately. A quick phone call from the Service Desk just after check in was made to see if we had all we needed. The staff always wished us a good day when we left the hotel for the day. Breakfast was hot and we really appreciated the real plates, mugs and glasses. Overall, this was probably the best Best Western I have visited by far. Conveniently located on the north side of town attended wedding at Canyon Springs Golf Club. Plenty of restaurants in the vicinity.We have always been pleased with Bestwestern Hotels and the free breakfast provided. I stay here when in the San Antonio area because I know that I can rely on this hotel for convenience and quality. The manager Kevin runs a tight ship and makes every effort to solve any problem in a professional manner. "Good hotel at a fair price"
The room was clean and the only issue was that the temp control fell apart when I went to turn on the air. I let the office know so that it could be fixed before it gave trouble. The area we stayed was quiet despite some sports teams staying Saturday night. The breakfast buffet was really good as well..better than many out there! "Trash in the pool and no room service"
There was hair on the shower walls when we first checked in and when my fmaily and I returned back at 2:30 our room wasn't serviced so we had no clean towels. The swimming pool was filthy with tons of acorns on the bottom of the pool and there was trash under the lounge chairs, and the back door card slot to the motel wast working, trash along the back sidewalk that goes by the pool on the stones and in the bushes. We brought 30 students with special needs to San Antonio for the weekend and stayed at this hotel. The staff was incredible in serving and caring for our group. Erica, at the front desk, made gifts for each one of our students when we left! That is service that you can't teach, it's a God given gift. Thank you to everyone at BW Hill Country Suites, you were amazing! "Nice place to sleep, despite the roads"
In the land of Texas, there are many oddities. One of them is the turnaround. Extraordinarily frustrating frontage roads that can make even the most serene soul into a raving maniac. This hotel is on a frontage road. If you miss the entrance, you have to go further, get in the turnaround lane, make a U-turn to the other side of the freeway, and go back around again. There is no back entrance to this hotel from the WalMart area either. The parking lot of the Walmart will also make you crazy, because there are only a few entrances. You can't go behind the hotel to get to it. Again, you have to go to the frontage road and do the round about thing again. Despite this frustration, this hotel is a very nice stay. Quiet and updated and friendly. I have nothing negative to say about it. Park in the back though. There are more spots in the back and it seems safer to park back there. I tried to stay there again a few nights later, and it was booked. My wife and I stayed here with two grandchildren as part of our annual "Grammie and Grandy Camp". We were in San Antonio to visit the Natural Bridge Caverns and Wildlife Ranch. The hotel has a great pool, which was a major criterion for our two grandkids. The rooms were fine, as was the breakfast. There are reasonable local family restaurants, which makes this a good choice for families. this hotel was very welcoming and very laid back and made us feel at home. the pool and hot tub area is a major hit- very relaxing and enjoyable. the hotel rooms/suites are AWESOME and very large in size making for an extremely comfortable stay. the rooms seemed very clean, but the hallways carpet looked as if it needed a good carpet cleaning. we did not wake up in time for breakfast either morning. I will def return to this hotel. So, our a/c broke in our home and we wanted to stay close to home for one night. It was pretty close and the most affordable in our emergency situation. It turned out to be a pleasant stay. Friendly staff, clean room, good breakfast. And most importantly for us, the a/c worked great! We would stay again. We always enjoy our stays at BW they are consistently VERY clean and comfortable places to stay and we had that experience here in San Antonio. We also enjoyed having the VIA bus right across the street to takes us to the River Walk fast and direct, totally awesome. I recently stayed here and had literally the best service n accommodations ive ever had at a hotel....dianne was fabulous. Answered all my questions and was super friendly .....kevin and i believe her name was erica was also really great because of them 3 ill be returning to this hotel very soon when i visit for thanksgiving thank all of you for making my experience there great. 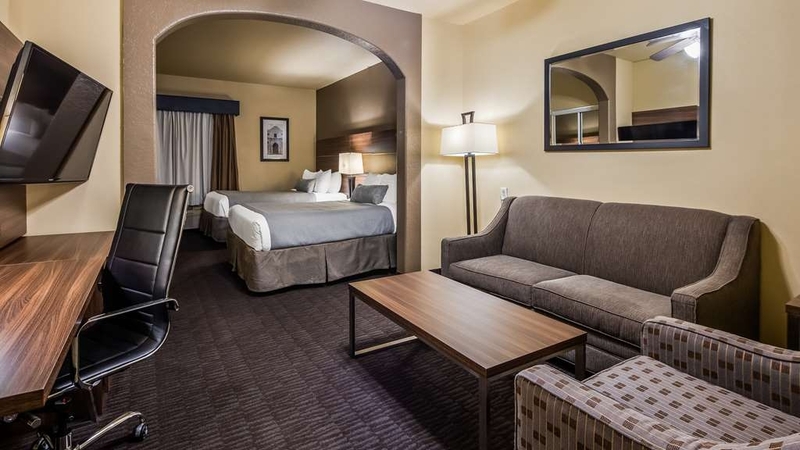 "best Best Western I have stayed at!!!" The staff at this hotel are all so friendly and professional!! hotel was very clean, and I loved the homemade salsa (not for the faint of heart...it is HOTTT) and REAL eggs at breakfast!! The taquitos and cookies at evening happy hour are highly addictive!!!!!!! "Won't stay anyplace else in San Antonio!" The breakfast is awesome, the salsa is homemade by the staff and is excellent. All of the staff is helpful and cheerful, especially Dianne. She obviously loves her city and has many great ideas of what to do. In the morning, Kevin and Erica start your day of with a bright and sunny smile. The hotel is located in a perfect area for what I required. Breakfast was alright, does need some more variety. My bedsheets were a little smelly and a few of my towels had hair still on them. Good thing that I travel with my own towels and I had them replace the sheets. "best western san antonio tx"
manager didn't bother to call me after I was promised he would. Shower curtain was missing, grape stem and yogurt lid was left on floor and I stepped on the stem in the dark. Couldn't get internet to work but we were checking in late and left fairly early so didnt matter. Breakfast was nice and a good selection even though I didn't eat anything, it looked good. I would like to personally apologize for the inconvenience and miss communication you've experienced. I was not informed that you were expecting a call on my behalf. I do apologize if because of this miss communication you felt I was avoiding the situation or did not care. I can assure you that is not the case. Our guest are our number one priority. Therefore I was very disappointed to see your review and discover your dissatisfaction while staying with us. I wish that I was present and able to hear your comments and concerns which would have hopefully discouraged such a review on our hotel and me personally. The level of service you experienced is certainly not acceptable and will be addressed with the concerning parties. As for the smoking issue you have experienced, we are a non smoking hotel but unfortunately there are people who disregard our smoking policy and chooses to smoke within our rooms. I do apologize that the first room you received had a smoking smell. This issue should have been brought to my attention and properly treated. Again please accept my sincerest apology and If I can provide any further assistance, please don't hesitate to contact me directly at 210-490-9191. Fabulous place to relax! Nearby all kinds of attractions to visit. Clean and relaxing! Plenty of parking. Wonderful full breakfast. Meet and Greet Monday through Thursday wine & beer & snacks. Great pool! Very friendly staff. 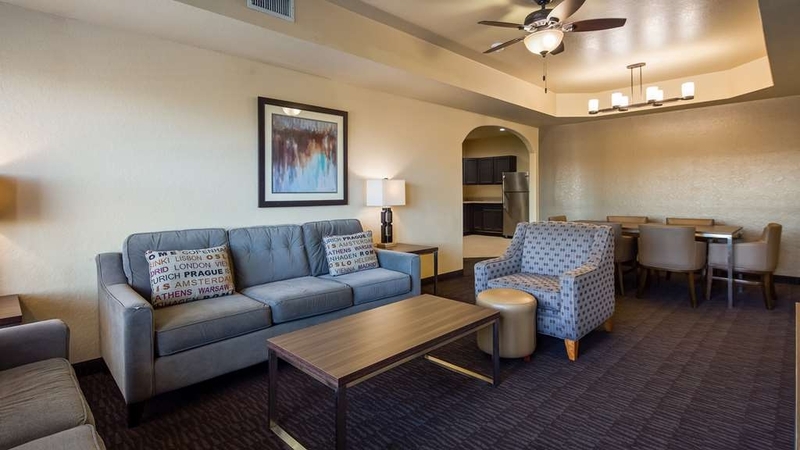 It's clean, people are friendly, easy access and close to Fiesta Texas. The one draw back per the wife was hard beds. Me and the kids were good but she wasn't happy. Pool and hot tub was clean. Great parking. But over all good stay! The staff at best western hill country suites is truly the best. They are super friendly and take time to help meet your every need. The breakfast was good and had several options. The pool and the rooms were clean and enjoyable. "Weekend at Best Western Suites"
Our cruise group always gets together for the weekend once a yr. This yr we decided to stay here again after having our get together here last yr. It is a very nice hotel. The rooms are very nice. Breakfast is super. Hot breakfast including scrambled eggs, sausage or bacon, that is fried just right, nice and crispy, pancakes or waffles, cereal, bagels, etc. The hotel has a nice pool and plenty of parking. Lots of places close to eat. Shopping is also close. Popcorn in the lobby at night. You couldn't go wrong staying here. Erica, at the front desk is great. 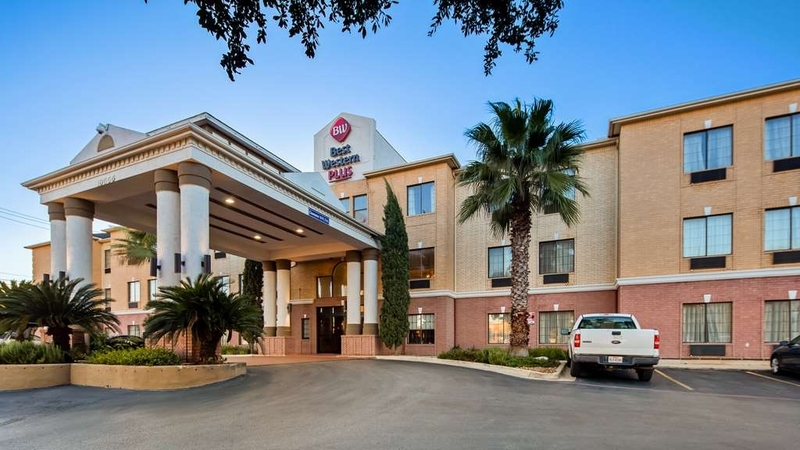 Hotel well located in San Antonio for a variety of destinations within the city. i was there for a doctors visit and subsequent surgery for the second time in the last 18 months. Convenient to doctors as well as a variety of restaurants and shopping. Thank you for taking the time to review our hotel. It was a pleasure having you stay with us and We hope to you again soon. My wife and I checked in to begin our anniversary celebration. The check in was quick and convenient and we met the housekeeping staff on her way out of our room as she had just finished preparing it for our stay. We had a very nice stay and enjoyed the breakfast the following morning. We had a great time here in San Antonio. The staff was always super friendly and helpful it wasn't right beside fiesta Texas but we'd stay here again they were wonderful! Highly recommend! Just don't head to fiesta Texas during traffic times. Breakfast was great and happy hour was also awesome. We were headed out one night and they were baking fresh cookies the manager left some in our room for us BC we were gonna miss out. Sooooo nice!! The hotel was great. My husband and I stayed one night for a business trip. It was clean and it has plenty of room. It was not cramped. Loved the breakfast options. Loved the microwave and fridge. The only complaint we had was the fact that the toilet was very close to the ground. It was short. I was clean and functional, just short. We just found it odd. "THEY TURNED A STRESSFUL TIME INTO AN UNPLANNED VACATION/ADVENTURE!" My lease ended at my old place, and as my luck would have it, the new place is running " a bit behind schedule," with no move in date as of yet. This would be stressful if I was by myself, but I have my young daughter with me as well. My first contact at this hotel was with Diane, the girl at the front desk. She was cheerful, sympathetic to my situation, and knowledgeable about what my options were. She paid extra attention to my daughter, making her feel like a VIP! Diane went out of her way to come up with options for me so that I had different ones to choose from, instead of feeling like I had to take only one option. She even contacted Kevin, the hotel's general manager, who seemed genuinely concerned with my comfort and satisfaction. We are in a suite with 2 queen beds in it that are very comfortable, with fluffy pillows that offer good support. The breakfast is a hot breakfast with a ton of tantalizing choices that are tasty and appealing, even to a young child. in the evenings, they have a reception that is free, with cookies and snacks to compliment the free beer, wine and sodas.But the most noticeable thing about this hotel is the amazing staff!!! They are all so nice and helpful, always with a smile on their face to greet their guests. I really do feel more like I am on vacation instead of in limbo between houses! "By far the BEST service!!! " Checked into this hotel and I was surprised with the level of customer service this hotel provided. The staff was by far the most helpful and caring staff I have ever encountered. I arrived in San Antonio several hours earlier then expected. So I took a gamble and tried to check in early. My room was not ready when I arrived at 9am however the front desk agent Erica spoke with housekeeping and had a room ready for me within 15 minutes. My room was very specious and clean. Best thing about this hotel is that they offer an evening reception at no additional cost and a Full hot breakfast that won't let you down. The free beer, wine and snacks were a surprise and a great addition. The level of care this staff puts into this hotel is exceptional. I'm not surprised this place is so well maintained after meeting this staff!the staff treat this hotel like it's their home and they welcome you with open arms. I'll be coming back to San Antonio in a few months and I already have my return reservation set. 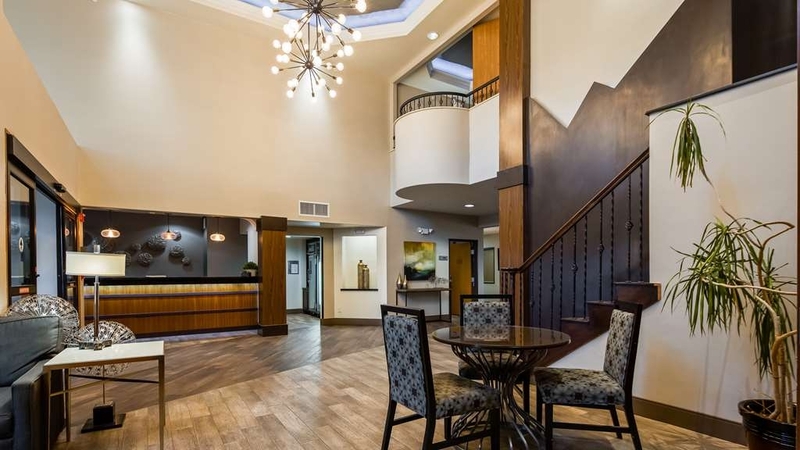 This Best western is the hotel my family and I will stay at whenever in town. The staff is always friendly and professional, the lobby is nice, there is a complimentary "happy hour", and the rooms are comfortable. Further, the hotel and rooms are very clean and the location is great. Walking distance to 2 fast food restaurants as well. Planned a weekday trip to get away and from the beginning this place was awesome. We checked in after midnight the first of the week and the lady who was working was great! Gave us lots of places to go and even offered to print directions. The next morning we came down to a mouth watering breakfast. Fresh eggs, beans and tortillas! Great service! The rooms were comfy and quite clean. And the ladies who cleaned the rooms were pleasant. The manager a guy from Hawaii, cant remember his name, gave us good conversation and he told us he recently became manager but seemed like he was manager for years. This will be the hotel we stay at when coming to San Antonio! This hotel is seemingly nice on the surface (granite counters, modern linens, free brkfst, etc) but when I looked closely, the fan and headboard were very dusty. I was able to write "hello" with my finger on the headboard (see pics). It makes you wonder if the room is really clean or just fixed up to appear like it is. On the plus side, the hotel is very close to major highways, and walking distance to a Walmart and fast food. Terrible place. Not a plus. Room smelt of smoke. Toilet did not flush properly. Would not give you proper bedding for the sleeper couch. Called to ask for extra bedding - they claimed they don't have any and it was not their problem. Sleeper couch was a joke - extremely uncomfortable. Mattress is so thin, u can feel the springs. Will not stay there again. One plus - Breakfast was good. great place. very friendly staff. loved the waffles at breakfast. Hit tub could be a little warmer. easy access to highway and attractions. very quiet. Walmart right next door was nice. fridge and microwave in room. Dear Guest, Thank you for your positive comments. I am so glad to hear that you enjoyed your stay with us! I hope your next stay is just around the corner. Call us if there is anything we can help you with. "Good location north of town, average room"
Hotel located near highways and convenient. Average room with mini fridge and decent mattresses. Bathrooms need updating. Found a spider in our tub. Great breakfast options but get there early for a place to sit. "Awesome Room and Comfortable Bed"
Located right off highway but no noise. Very reasonable price. Very friendly staff and breakfast bar was wonderful with real plates and cups. food was not powdered eggs and bacon was plentiful. Very good breakfast bar. Even though it is on the access road of 281 the rooms are very quiet. the Staff is very friendly also the complimentary happy hour (beer, wine for free) is quite a delight, no need to leave the hotel for a relaxing drink. We are happy that you had a pleasant stay and please come see us again! "A Best "Best Western" in Texas"
Great hotel, location near the airport. Helpful staff, clean and comfortable room. We'll stay there again next time we're in San Antonio. Great breakfast and the staff was one of the best we have experienced. We have recently retired and are traveling around to see the country. Best Westerns have been our choice for most of our stays and this one was exceptional. We booked a room with 2 queen beds online, but when we checked in last Saturday night, we were told the reservation shown on the hotel booking system as one King bed. Unfortunately, there was no room with 2 queen beds left, which would create much inconvenience for our family. The front desk staff Dianne was very helpful, she called her manager Jeff who authorized to upgrade us to the only room left at that time - Apartment. The room was so spacious and comfortable. It made our weekend in San Antonio an unforgettable one. We were very impressed with Dianne's excellent customer service and Jeff's great help! "A trip to San Antonio"
We enjoyed our stay very much. The hotel had everything we wanted and more! The room was clean and spacious. We used the hot tub and loved it. We really appreciated the 5:00 - 7:00 reception in the lobby with beer, wine, pop and snacks, that was a nice surprise! The breakfast was excellent, as well. We will stay here again if we return to San Antonio. Thank you all for the great service! My wife and I travel all over the country and we stay in a lot of hotels and different brands. Jeff, the General Manager made an everlasting impression on our stay and will make us stay at Best Western brands more often. Jeff was professional, courteous and you can tell he loves his job and that persona definitely transpires to his staff. The hotel was very clean and the staff went the extra mile to make our stay a great experience. They even offered a social reception in the evening with beer, wine and finger foods which was an added bonus. If your looking for a nice hotel with an affordable price, look no further than the Best Western on Hwy 281 and 1604 Loop. Stayed for a few nights and the front desk staff was amazing and very accommodating. Clean rooms and average breakfast. Location is outskirts of San Antonio. Close and walking distance to many shops and restraunts. "First trip to San Antonio"
Comfortable stay at Best Western. 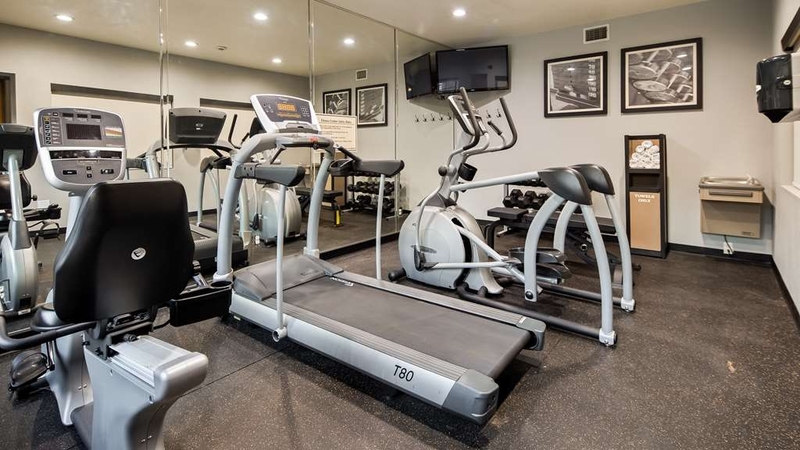 All the amenities you would expect. Access to motel is challenging with the freeway and frontage roads. Excellent selection at breakfast. 1st class exercise equipment. "Prestine, clean look stops at the lobby"
I would not stay in this hotel again. Upon arrival, the lobby area looked really nice and updated and like you couldn't wait to see your room. Unfortunately, the crisp, new, pristine look stops right there! We were assigned a room and when we walked in paint chipping on walls and the bathroom had not been cleaned. There was previous guest hair in tub, on tub walls and all over the tile flooring in the bathroom! I was disgusted and should have left that second, but booking on Expedia I was unsure if we would get money back. In addition, the pictures are very deceiving. The rooms are not crisp nor inviting, but dreary and dim......nothing to make you want to stay and relax a bit in them. The hotel looks like it had a half hearted remodel attempt and they got tired along the way or ran out of money to continue the effort passed the lobby. The customer service in this Hotel is second to none. They all know me by name, and Kevin is the Rock Star who continues to drive me back into this place every time. There is a pool outside, and also continental breakfast. Oh did I also mention that they do treats and beer for Happy Hour? Forget stopping by for a drink, go grab a beer and some egg rolls and rest in your room after your long meeting. After moving hotels 2x due to spring break noise, we wetr so happy to find a peaceful place to sleep. Best Western staff were very friendly and polite. Breakfast bar was good and even included Texas shaped waffles. Even though it was full of families with kids, it was very quiet and restful. Took a trip to San Antonio and decided to stay at this hotel. They were doing a few renovations but it wasn't anything that was distracting. Hotel staff was very helpful and very timely when asking for request of new towels and an ironing board that wasn't in our suite. We stayed two nights. The rooms were very nice and house keeping maintained the cleanliness throughout our stay. Breakfast wasn't amazing but it did the job. Overall, very good experience and would book with this hotel again. We stayed in the hotel only one night. I had taken my daughter and grandchildren on a trip to the Missions of Texas. We were very tired after a day of sightseeing. All the kids wanted was to swim and relax. They thoroughly enjoyed the pool and especially the hot tub because it was a cool night. There was lots of hot water for us all to clean up after. We all slept like a log even though there was a problem with the hide a bed. Breakfast was wonderful as well.. Overall room was great, housekeeping could be a more diligent in preparing the room for use. Appliances were difficult to get working. Breakfast was excellent with variety of choices. Lady at check in was helpful explaining and enrolling me in rewards program. 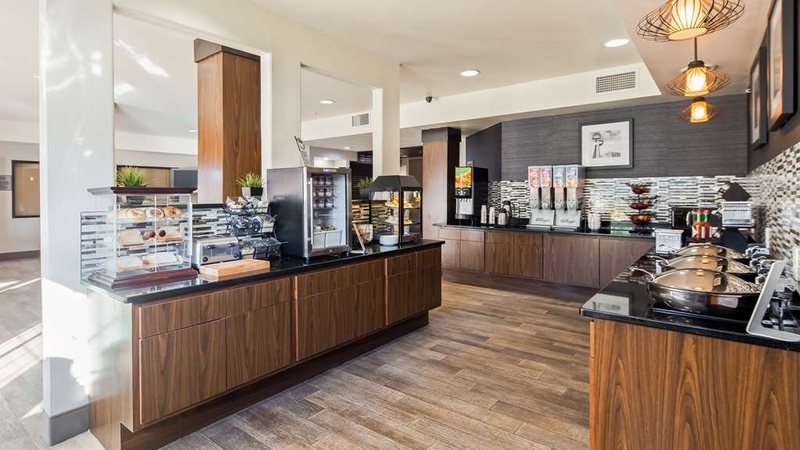 "One night to six flags"
Location was great, service was fantastic, breakfast was very nice, and the lobby area was very clean. Our room however seemed very musty, had air freshness around the room to try to cover the smell, and just seemed that it had gotten a very speedy cleaning job before us. Messages written on the mirror were still visible when we took hot showers, blanket for the sleeper was very dirty. It was ok for a cheap one night we booked through Priceline but if all rooms were similar to ours they could use a good clean and refresh. Very happy with location and cleanliness of hotel. There is a Walmart directly behind the hotel which you can walk to as well as a selection of restaurants. For getting around without a car there is a bus stop directly outside, and hotel is very close to the airport. Staff are extremely friendly and helpful and they do a lovely reception with beer, wine, cookies and little appetizers in the evening on the weekdays. We had a Jacuzzi Suite and would definitely recommend upgrading if it is available, however there is lovely pool and Jacuzzi at the rear of the property. I am a frequent visitor to San Antonio and unaware of my travel dates. The staff has always been very helpful in accommodating me. Kevin has been working there for several years and remembers me. This is a well run hotel. It is clean and safe. The breakfast is above average with a nice variety. The staff keeps the area clean. "Nice Area, Nice Staff - Cleanliness needs improvment"
The employees that checked us in were very nice. The room was just as described on their website. Except for cleanliness of the room. It could have used some updating, although I don't mind old as long as it's clean. It looked like it had only been vacuumed in areas that were easily reached with the vacuum cleaner and no attempt was made to move anything or vacuum beneath anything. There was some type of goo on both walls each side of the toilet. Good thing I always travel with some type of cleaning supplies. The last issue with the room was when I pulled out the blanket from the "sanitary" case it was in, there was long brown hair all over it. "Gross". I called down to the desk and they exchanged it for me. They had an outdoor pool that we were hoping to be able to swim in, but it was not heated so we decided not to. My daughter did enjoy the hot tub. The complimentary breakfast was decent and the lady in charge was working hard to keep everything stocked. You could make your own waffles and the eggs, sausage, bacon & biscuits were nice & hot. Lots of non hot choices as well. Yogurt, cereal, danish,fresh cinnamon rolls, toast bagels etc. 12 minutes to the Riverwalk, 30 minutes to Sea World. Other than the cleanliness issue in the room, staying here was a good experience. "Great place to stay with a family on the outskirts of San Antonio"
We were very happy with our stay at this hotel. I was very nervous as were unfamiliar with the area. We had many options and were nervous to choose the right one. We loved staying here mostly because the staff is so friendly and we felt like we had the whole hotel to ourselves in the evenings. We let the kids play out in the pool and hot tub. Enjoyed the snack time with free snacks. Breakfast was a little crazy the first morning. I felt like the food wasn't being stocked fast enough and it was a little awkward hanging out and waiting for everyone to get fed so the second morning we decided to skip out on the "free" breakfast and head out to get it somewhere else so we didn't have to deal with that again. The room was nice and roomy and everything worked mostly. The closet door was off the hinge/ track and just left to just lay propped up. There was places that could have been cleaner if someone would have slowed down and checked (even out in the hallways and elevators too). Our beds were super squeaky the first night so we complained in the morning to see what could be done. We were told that they have no other available rooms to fit our needs but would send maintence to check it out. I decided to not let it ruin our family vacation and it was just one more night of having to deal with squeaky beds if they don't fix it. I went to check out the next morning and the manager mentioned they replaced the mattress/box spring with completely new ones since they didn't have any extra rooms. I mentioned that I realized it didn't squeak all night and thanked him! Overall our stay was great. It was a nice safe area. Within driving range of our trips to The Alamo/ River walk, San Antonio Zoo, Natural Bridge Caverns and Natural Bridge Wildlife Safari. "Confirmations mean nothing to this property"
After arriving to my room and realizing that we were assigned to a different room type (King Suite) than what I had originally requested I went to the Front Desk to ask why. Agent, Lindsey seemed uninterested to hear. She had to call her front desk manager Kevin. After speaking to him she said there was nothing she could do because the room type I had originally requested (King Suite with Jacuzzi) and got approved by the property manager Kevin two months prior to my arrival was no longer available. I attempted several times to show her my confirmation letter but she didn't even care to even look at it. If you receive a confirmation letter that the actual MANAGER sent you there is no reason why it shouldn't of been honored. I understand it was not the front desk agents fault but she didn't even apologize for the inconvenience. Being a front desk agent myself, I know that a simple apology goes a long way. Even after the room type I initially requested was unavailable she still charged me the price for that room type and told me I had to wait until the next morning to talk to the manager. The next morning I was only able to talk to the front desk manager Kevin, which I would have preferred to hear back from the actual manager Jeff that I had originally spoken to in the first place to know why his confirmation letter meant nothing. VERY UNPROFESSIONAL WAY TO HANDLE A PROBLEM THAT WAS CLEARLY A MISUNDERSTANDING ON THEIR SIDE, NOT MINE. Since the room type I had requested was not available I was placed in a King Suite, which I was not impressed with. Room needed a lot of work done (pictures provided). Phone did not even work in the room, no dial tone (yes, it was connected). Attempted to call the front desk several times from my personal phone and no answer, went to the front desk and couldn't find a receptionist to report it to either. The day of my departure, housekeeping knocked several times between 10am-11am to see if I was leaving yet? (check-out was until 12 noon).It was just an unfortunate experience and ruined my planned trip for my wedding anniversary. "Caught on fire had to leave and still pay"
Caught on fire had to leave and still pay. Fire alarm went off and i ignored because it was ringing then sounded like it was shut off after a few times. This repeated until another guest was yelling fire at 2 am. Busted in my room. It was just unfortunate. No refund was given at the desk. Room were very clean and spacious. One of the nicest best westerns we have stayed with. Breakfast and many selections and was changed daily. What really makes this hotel so wonderful is its staff. Everyone is extremely helpful and polite. Kevin is the BEST! He printed us maps with highlighted directions and recommended so many things to do and places to eat. He even took the time make a list of MUST DO things in San Antonio. This hotel and staff has surpassed my expectations. I Highly recommend visiting this hotel! A friend suggested this BW or LaQuinta for our needs while in the area. We chose this facility because we like to accumulate our BW points for perks. Sure glad we did, this motel was extremely nice (probably best BW we've staying in during our years of travel). Everything very clean & fresh. Large comfortable, quiet room & breakfast was a real treat with REAL plates & glasses. Nice variety of food & presentation was quite pleasing. Would certainly stay here again. The staff at the Best Western Plus in San Antonio are amazing. The rooms are clean, the internet is fast, and the breakfast is a good way to start your day. If you are into working out there is a facility for that, if you are into swimming there is a pool. If you want to relax they have a hot tube. I jokingly say to my wife that this is my home away from home. Rooms are spacious, Breakfast is great and best of all the staff is friendly and very detailed. The front desk really make an effort to get to know you. This is my second time staying at this hotel and surprisingly I was remembered and greeted by name. I thought that was very impressive and showed how honest and caring this hotels staff is. I will definitely be coming back again! While there were some initial problems, everything was handled very well and beyond my expectations! The breakfast was hot and tasty and the service was very good. I really enjoyed the complimentary beer/wine and snacks!!! I would absolutely stay at this hotel again. It was a great value for the money!!! The staff was great. The rooms were clean, and neat. Price was fair. The internet was very poor. When I could connect to the internet I was kicked out often or was unable to connect to some links. (News, banking) The problem was reported and was told they knew of problems but they didn't know what to do. Was told that Mac users commonly had problems. "Spacious rooms, good for a short stay." We stayed at this hotel for a one night on NYE. We didn't stay in the room for long it was mainly for us to sleep but the room was very big and the beds were soft. Our room was very clean and my only draw back would be that the shower/bathroom was a little outdated. There was a great free breakfast with eggs, bacon, biscuits, gravy, waffles and cereal. They even had fresh popped popcorn when we checked in near the lobby. 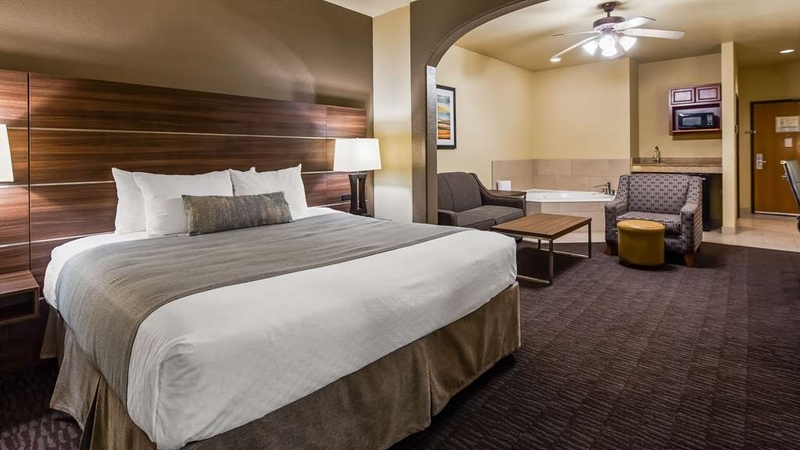 If you do not come into San Antonio via 281 South then the hotel is a little difficult to get to but once you figure it out its not too bad and is actually in a great location near tons of restaurants and activities for everyone. We paid a premium price for our jacuzzi room for three nights. First day we left mid morning for shopping and sightseeing. We returned about 4:00 pm and found our room untouched by housekeeping. Desk clerk offered to "call someone" who could come clean the room. Not knowing how long that might take, we opted for just a fresh set of towels. Was assigned two rooms the first night. Keys didn't fit. The garbage was not removed on most days, also sink, toilet, shower not cleaned. The beds were not made on two days. Dirty dishes left in room. Told them phone was broken, never fixed. Excellent breakfast with fresh eggs scrambled and beans and tortillas to eat with them OR sausage and biscuits and gravy OR waffles AND various brands and flavors of yogurt, not just one flavor, cereals, and the normal coffee and juices. Very nice beds, great TV reception and variety, front desk went beyond the call of duty for 3 situations. Bed very comfortable, TV picture and selection excellent. "Run away - do NOT stay here!" First, you can not find this place or get to it easily. Second, the girl who checked us in did not know how to use a BW gift card and she took 20 minutes to get us our keys. Next, when we opened the door to our room, we found it full of stacking chairs and other meeting room equipment. So - she "upgraded" us to a suite. It was NOT clean. the carpet in all the public areas is filthy and in our room - the sliding doors to the closet do not work. There is gross stuff inside the fridge. There is something strange on the floor under the sinks in the bathroom. The lamp shade in our bedroom was torn. We were invited to a Manager's receptions at 5:30 pm - but by 5:50 pm - it is still not set up. There is supposed to be beer, wine and "snacks" which turned out to be cookies. This place is poorly run. It is dirty. It is not worth the $100 bucks we are paying! I am so disappointed and upset. We often stay at Best WEsterns and have never been to one so awefull. I tell you - find somewhere else!! Have stayed here twice now. Location is very busy but has anything you could possibly need. Lots of restaurants and shopping. Walmart right around the corner. Access can be tricky and traffic heavy at times. All the rooms are suites, are nicely decorated and roomy. I will most likely stay here again and advise you check it out when in the area. I was in town for a family reunion, We had lots of family and friends asking for directions, recommendations on places to eat, shop...etc the front desk agent Lindsey was SO HELPFUL!! If it was not for her our stay would have been way more complicated. She was able to assist with reservation changes and many more questions on rates and taxes..etc Because of her I will definitely be coming back to this hotel. Nice place to stay for Stone Oak area of San Antonio. Room was clean and spacious, comfort of bed was OK, breakfast was a step above the average. Lots of dining choices within 5 minutes, reasonable to get in & out. Would definitely stay again when in the area. "Very clean , comfortable,Friendly staff." 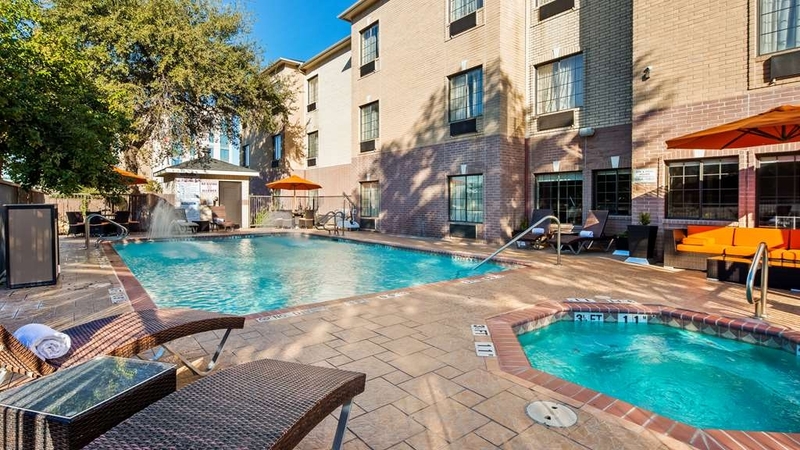 Excellent location for a Northside stay in San Antonio. Good warm breakfast. Friendly staff. Very clean overall. Surprised at how low their rates are. Very easy access to Downtown, about 11 miles. Very strategic location. This place was conveniently located, and had a room with 3 beds, but I wish we had stuck with something familiar. The staff was friendly and the coffee was hot! There was no bedding in the room for the couch, so I went down to get some. I was given a couple mismatched sheets and told that was the last of their bedding and they had no more! what?? The 2 queens were thin, noisy mattresses with zero support. Most of us had a terrible night's sleep. The kitchen was a great feature, but we didn't need it this time since we just came to sleep. The bathroom was large and had 2 sinks- great for large families. The free breakfast was ok, but since we are GF, there were minimal choices. Breakfast tacos was on the menu, but only four tortillas. Overall, it was what we paid for, but we won't be back. "Business trip was not expected to have to stay over night." it was a very quick business trip. Everyone made it very pleasant. I had extra people with me they were treated very well. We especially liked the waffle iron at breakfast in the shape of Texas!!!! Did not get to use the Fitness center but it looked user friendly. We enjoyed a weekend getaway in San Antonio. The hotel was good and the lady that helped us at check-in was very friendly. We originally had a problem with our room lock, but she fixed it right away by getting us into a different room. "Recent Stay at this Best Western"
This was a very short business trip to the area. I arrived a little late however the staff was very kind to assist me with a couple items I needed. The hotel is very comfortable, clean and welcoming. Housekeeping team was very kind. I would return for certain and this location is great if you need to be fairly close to the airport and restaurants. We went in and the dirty bathroom with hair in the shower and floor. The sheets had not been changed from the previous guests. In two days they did not clean the room. Lack supervision. When I put my complaint the manager was interested in solving the problem. too bad the Internet. Not recommended. "I plan to stay here in the future"
My wife and I came to San Antonio for a doctor appointment and chose this hotel because it was near his office. We found a very caring and competent staff. The hotel common areas and rooms were very clean and comfortable. The full breakfast was much appreciated. We plan to stay here on future trips to San Antonio, TX even if it means having to drive across town (and I hate San Antontio, or any big city, traffic. Overall the hotel was very well kept. the staff from the front desk to the breakfast personnel were very attentive. The location was near restaurants, and other place should we have need anything. Keep up the outstanding work made us feel at home. "Nice hotel for the price, great location!" We stayed in this hotel in July and had housekeeping issues. I mentioned these to the manager. He wrote me back later and assured me those problems have been resolved. We decided to give them one more chance and stayed in October. The service was great and we had no problems with housekeeping. Great location and the staff is very nice. I would recommend this hotel. "Nice property with a bad theft problem"
The property is nice. The breakfast use to be good but is now just ok. They have a problem with this place with vehicle break ins. The police informed me it is a big problem here. You think they would maybe want to put security on site!!!!! I guess they don't care!? We checked in and the hotel looks and smells nice. The pictures you see are what you get. We get to our room and it clearly says 'non-smoking'. We walk into what smells like smoke. We are tired and didnt want to complain. Woke up at 6am to what now smells like a bar in our room? Other stayers on our floor were complaining of the same thing. :( other than the smoke smell it was a nice stay. Accomedations and service were great but the wifi srevice in the room did not fumction properly. I had to go to the lobby to obtain proper reception. Location for the purpose of this trip was excellent. The staff were friendly and courteous.